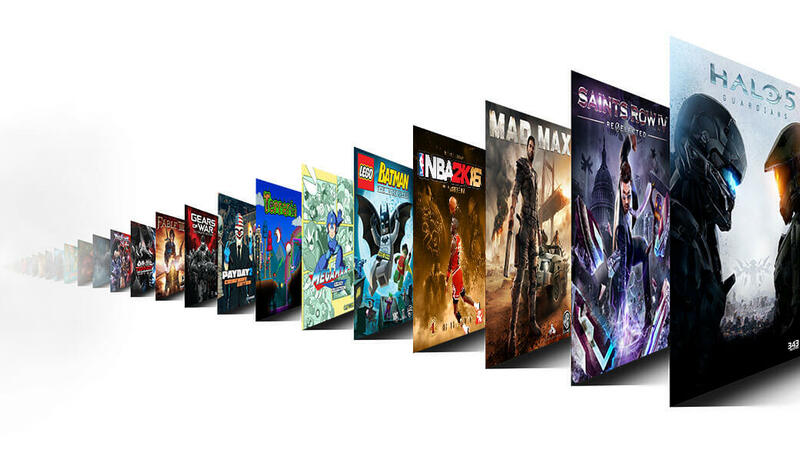 Microsoft is opening up its Xbox Game Pass subscription service today for Xbox Gold members. The service is similar to PlayStation Now, but instead of streaming, the games are downloaded to the hard drive. Users may also purchase downloaded games outright at a discount, although why one would choose to do so when they are paying a monthly subscription is a little unclear. The service was being tested by a select few Xbox One users, but now the service is being rolled out with Gold subscribers getting first shot today. The service will fully open on June 1. The "walkthrough" of the service (see video below) indicates that players can try Game Pass for two weeks for free. After that, the service will charge $10 per month. According to GameSpot, T-Mobile subscribers will also be getting a free one-month trial, but it is unclear when that offer will take effect. Currently, there are over 100 titles available in the service and more will frequently be added. While most games will remain in the service, once a month a few titles will be removed, and more games will be added. Microsoft was not specific about how the rotation will work. It will probably be older or unpopular titles that will be targeted for removal, but that remains to be seen. An Xbox Live Gold membership is not required to use the service, but keep in mind that multiplayer online games do require a Gold subscription. It is also somewhat important to note that the service is only available on the Xbox One even though it offers Xbox 360 backward compatible games. A full list of Game Pass offerings can be found on the Xbox website.